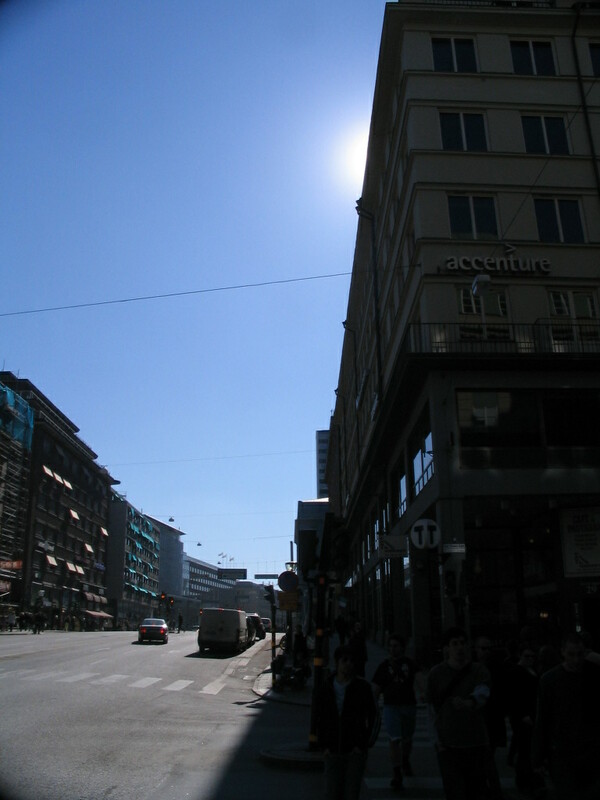 Our hotel was in the heart of downtown. 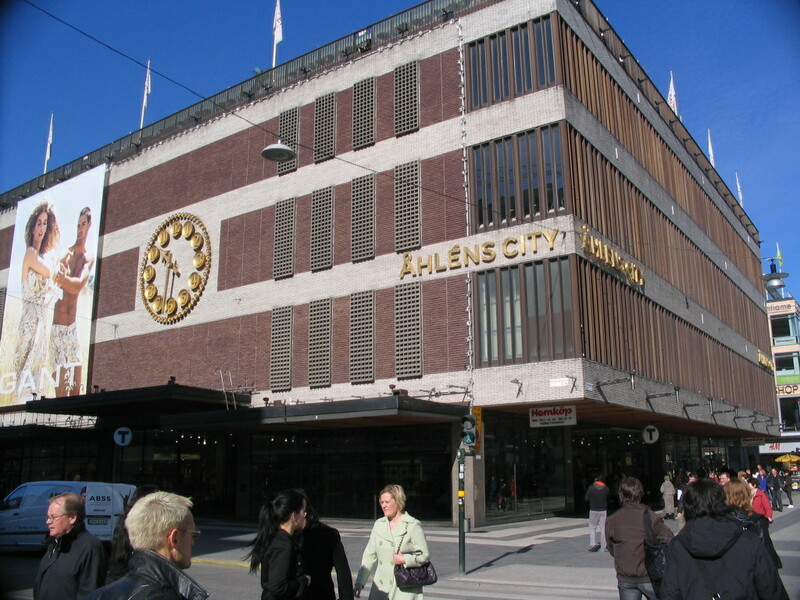 The HQ of the department store Åhléns has a quintessentially Stockholmic appearance. I think this has to do with the brass or bronze accents, the close vertical rhythm in the windows, and the fine scale variations within the orthogonal layout. 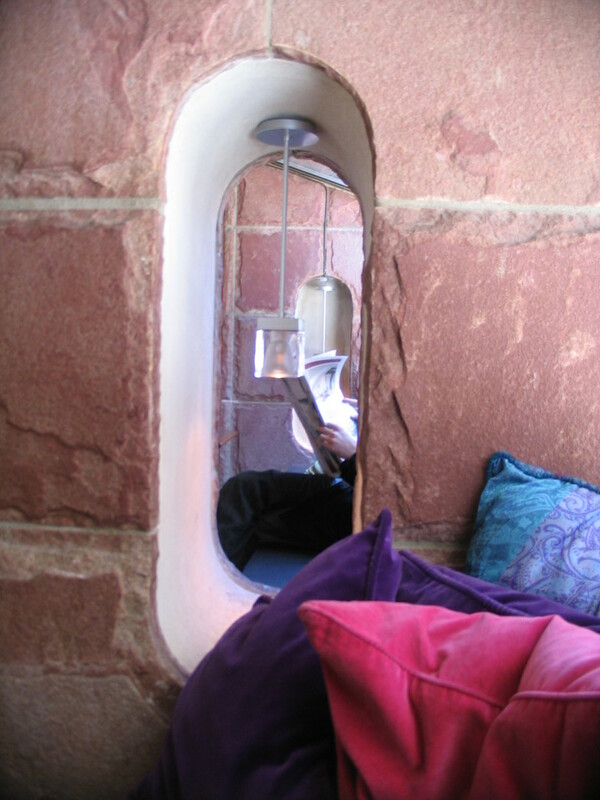 In the hotel foyer, window seats with luxuriant pillows. 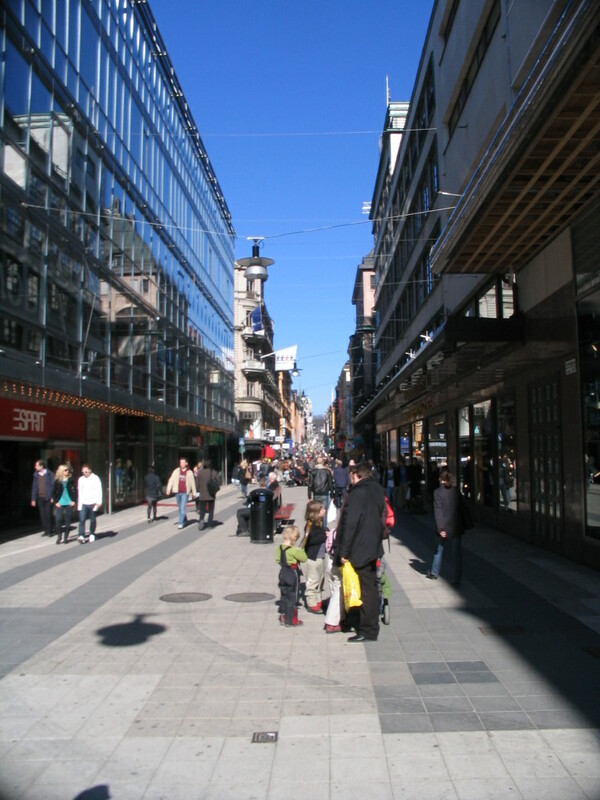 On Drottninggatan, the long downtown pedestrian street. 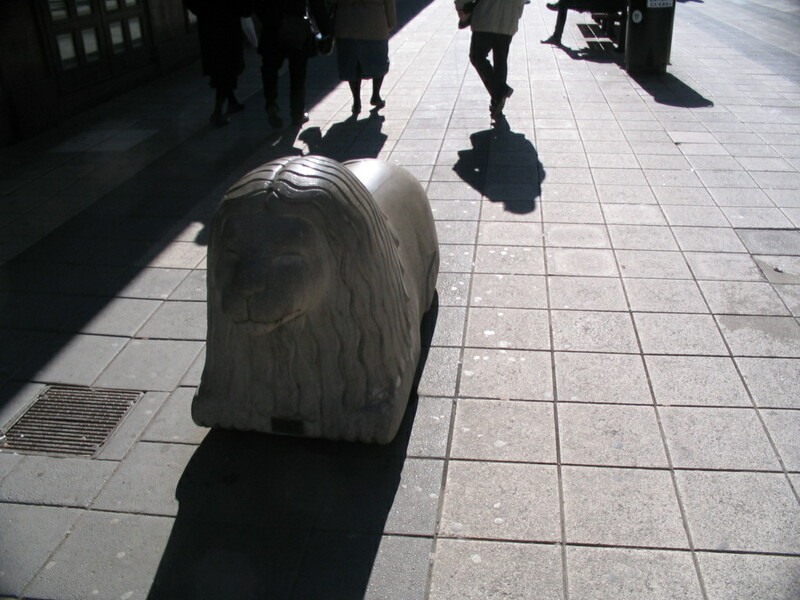 It's heavily populated by lion bollards. 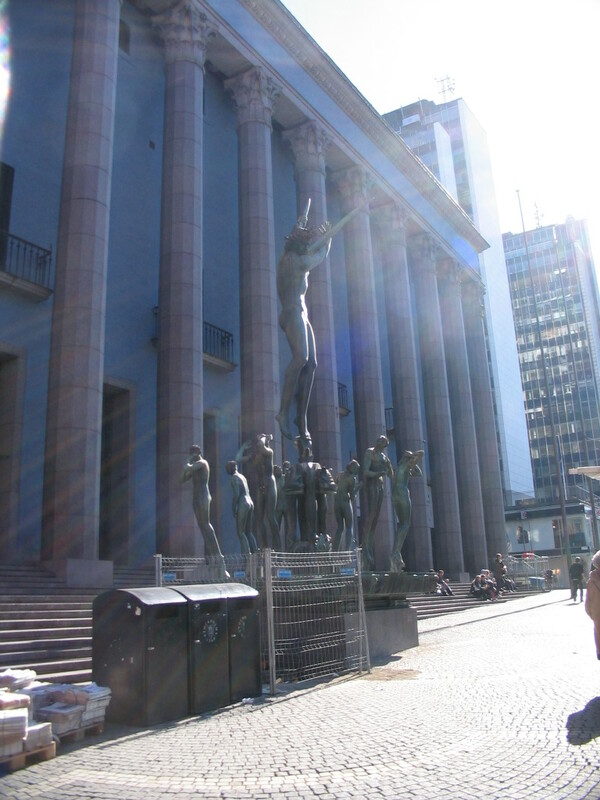 Konserthuset, the old concert hall. 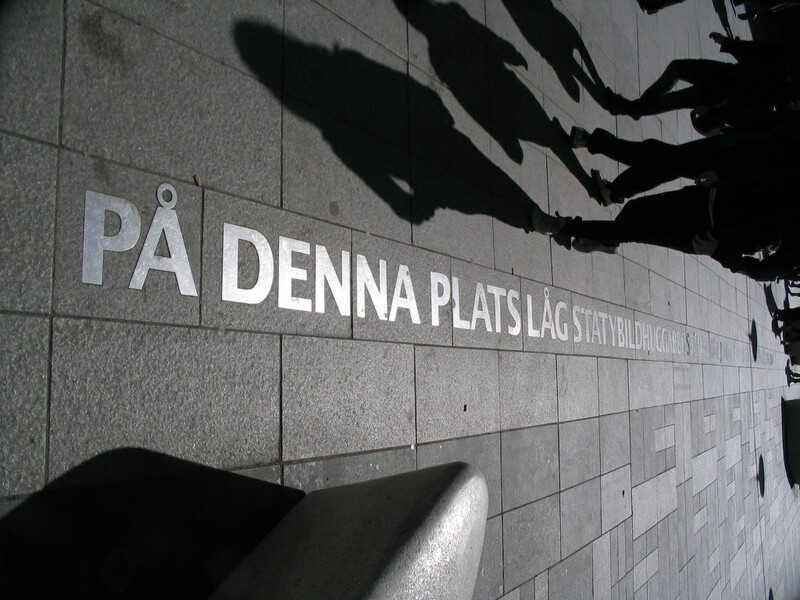 Exploring more of the pedestrian areas. 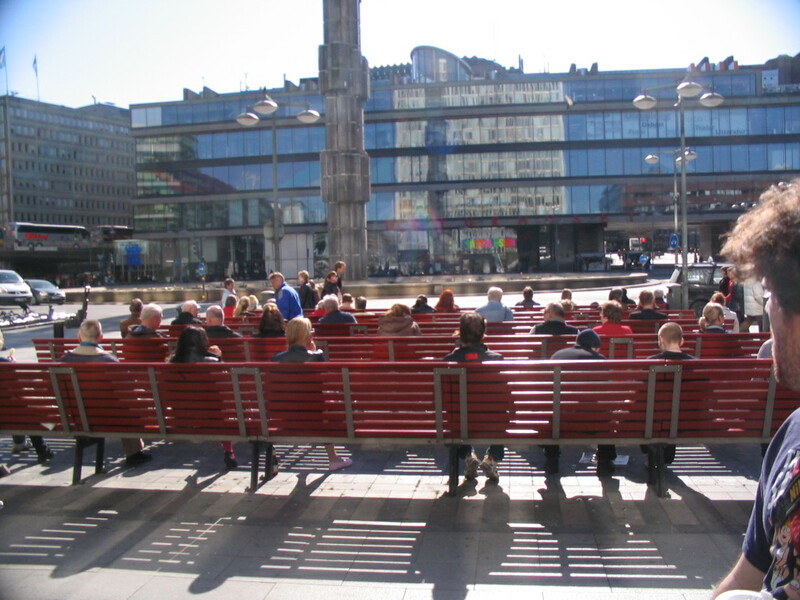 Everyone was enjoying the sun and the mild temperature. This was the warmest weather we'd experienced since the beginning of the semester. More metal insets. 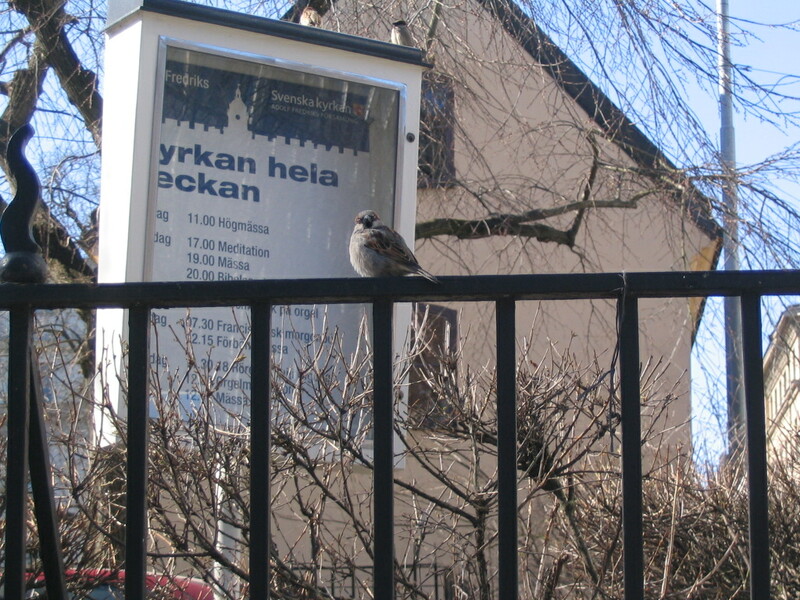 I like insets a lot in general, for some reason. 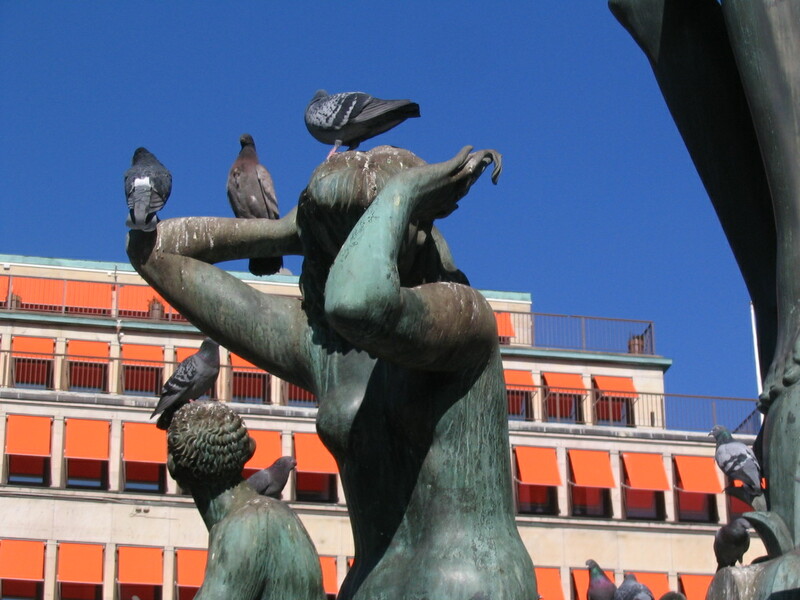 The pigeons were all about the sun, that and pooping on the statues. 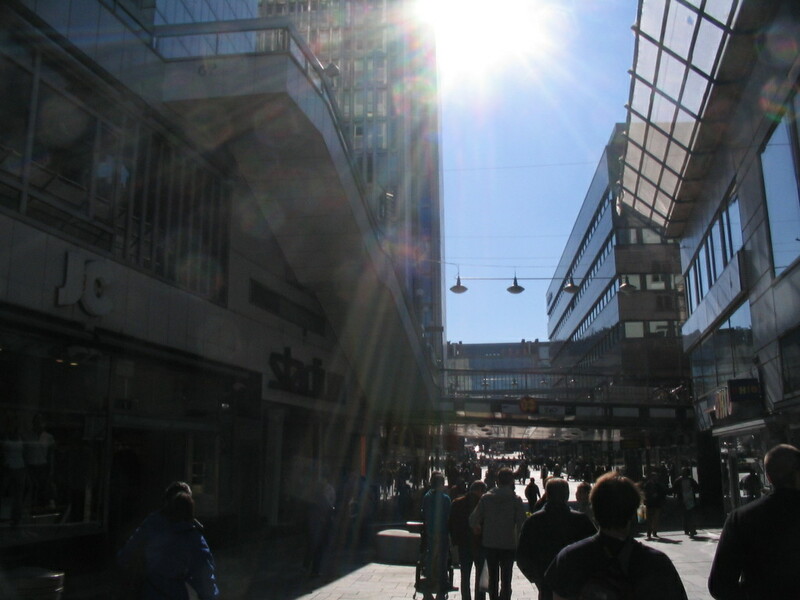 Now on the way to Stadsbibliotek, the City Library, our group in deep shadow walking along Sveavägen. 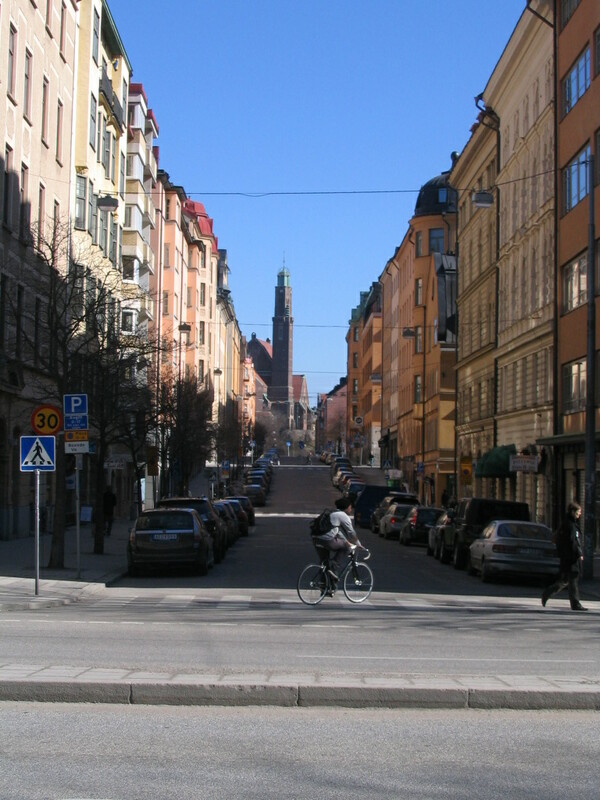 Looking down Kungstensgatan to Engelbrektskyrkan (Engelbrekt Church), which looks really interesting and is one place I want to visit next time I'm in the city.